0166 - Select Brain, CTRL+C, CTRL+V - Heroes Inc.Heroes Inc. 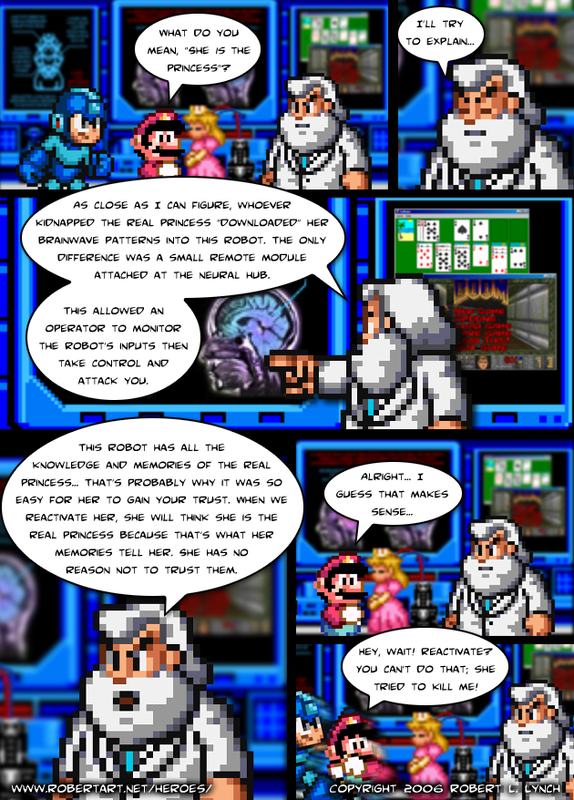 This entry was posted in Story and tagged Dr. Light, Light's Lab, Mario, Mega, Robo-Peach. Bookmark the permalink.